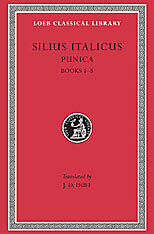 Silius (T. Catius Silius Italicus), 25–101 CE, was consul in 68 and governor of the province of Asia in 69; he sought no further office but lived thereafter on his estates as a literary man and collector. He revered the work of Cicero, whose Tusculan villa he owned, and that of Virgil, whose tomb at Naples he likewise owned and near which he lived. His epic Punica, in 17 books, on the second War with Carthage (218–202 BCE), is based for facts largely on Livy’s account. Conceived as a contrast between two great nations (and their supporting gods), championed by the two great heroes Scipio and Hannibal, his poem is written in pure Latin and smooth verse filled throughout with echoes of Virgil above all (and other poets); it exploits with easy grace, but little genius, all the devices and techniques of traditional Latin epic. 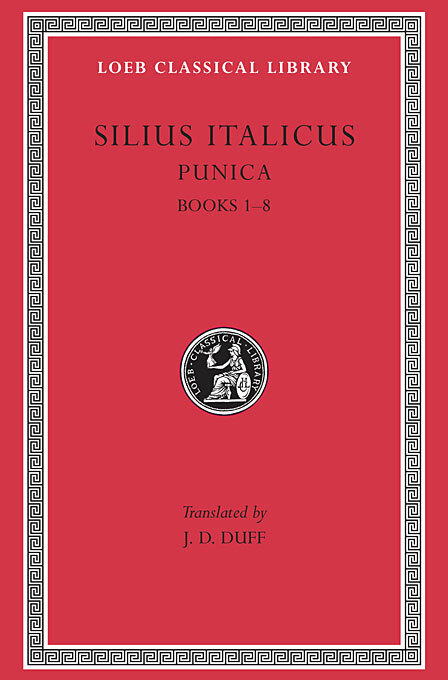 The Loeb Classical Library edition of Silius Italicus is in two volumes.